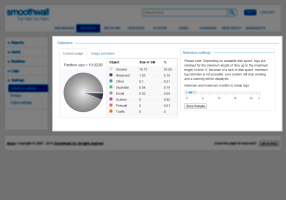 Datastore contains all Anti-Spam, Bandwidth Management Management, Firewall, Guardian, and UltraSurf traffic log files, as well as the resulting file indexes used for reporting. 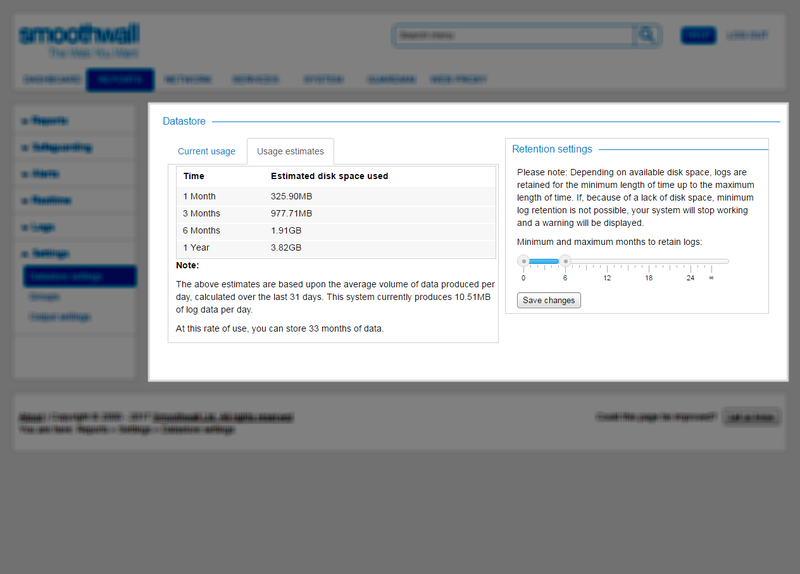 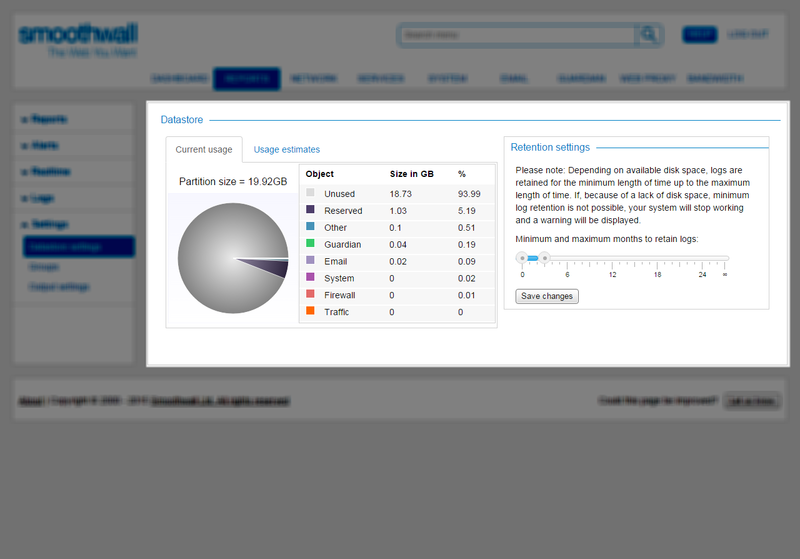 Your Smoothwall estimates how much data it can retain before running out of hard disk space. 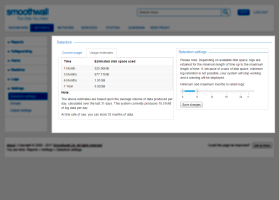 This figure is based on the average volume of datastore data produced on a daily basis by your system, multiplied by 31 days.